We started today with a driving tour of Charlottesville's northern suburban areas. Unlike the Atlanta area where so many houses are built on 1/2 acre lots or smaller, most homes here seem to have much larger acreage. Subdivisions, which dominate the Atlanta housing market, appear to be the exception here, rather than the rule, based on our minimal observations. 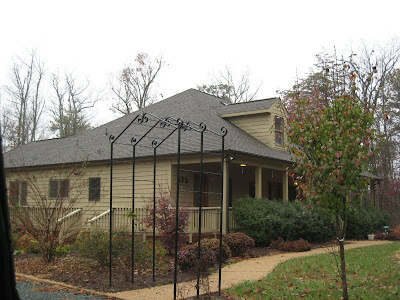 This house, for example, a mere 11 miles outside the city, is situated on eight acres, listed at a price similar to what the same house in Atlanta would sell for on a quarter-acre lot. After our self-guided tour, we headed toward Charlotte, where we'll help celebrate the 88th birthday of Erika, Ken's mother. Along the way, we stopped for a little letterboxing and a little hiking. 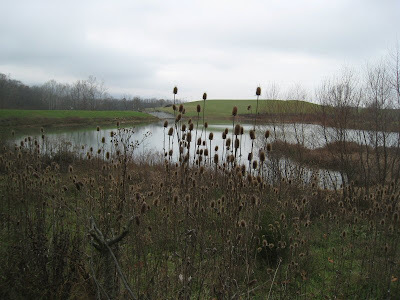 We were pleasantly surprised by this wetland restoration project in an industrial park in Daleville, Virginia. 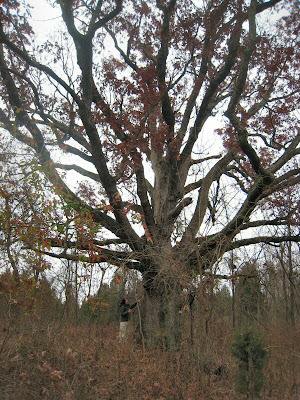 We didn't find the letterbox which is supposed to be there, but we did encounter this massive and majestic oak tree. 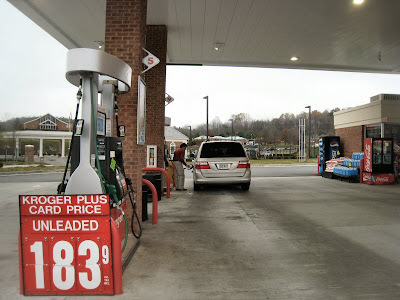 It was like stepping into a time warp when we saw this cheap gas in Daleville. According to the fuel log we keep on our van, this is the lowest gas price we have seen in the three years we've had the van! Found a hotel to pass the night in Max Meadows, VA. On to Charlotte tomorrow!